Your oral health is more important than you might realize. Excellent oral health is important to prevent a variety of dental and medical problems. Recent research has shown a relationship between certain oral conditions and medical conditions. Get the facts about how the health of your mouth, teeth and gums can affect your general health. Call our office today. Periodontal disease, or gum disease, affects millions of Americans. It is a painless infection of the tissues surrounding and supporting the teeth and is the largest cause of tooth loss. 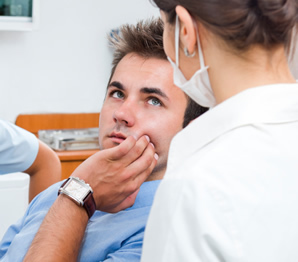 Often, patients do not even know they have periodontal disease. Odor, bleeding gums, and loose teeth are all symptoms of gum disease. Like your skin, gums should not bleed with mild contact or brushing. Left untreated, gum disease can cause premature tooth loss and has been linked to several other serious health diseases. Recent studies also suggest relationships between periodontal infection and heart disease, diabetes and increased incidence of pre-term, low-birth weight babies. Recent studies have even indicated a relationship between periodontal disease and pancreatic and oral cancers. Temporomandibular joint disorders (TMJ or TMD) cause tenderness and pain in your jaw, face, and head and neck. These disorders occur as a result of problems with the temporomandibular joint, which is the hinge joint on each side of your head in front of your ears that connects the lower jawbone to your skull. In some cases, you may experience chronic headaches and migraines by involuntary night-time teeth clenching. A night guard is a small, transparent device that is worn over your two front teeth while you sleep to prevent contact between the canines and molars. Night guards also protect your teeth from chronic wear and fractures. Continual wearing away of the tooth enamel can expose the sensitive inner layer of the tooth called the dentin. 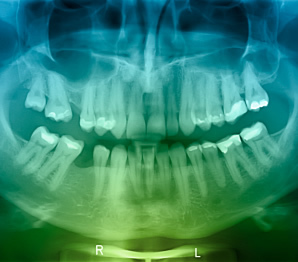 Severe wear can even result in changes in how the teeth naturally fit together. Certain causes may also affect your bite, which in turn may require corrective dental treatment. We can improve your bite by balancing the surfaces of your teeth, replacing missing teeth or replacing fillings or crowns. Maintaining a stable bite is essential to your oral health and ensures that your teeth will come in contact in the most pain-free manner possible. 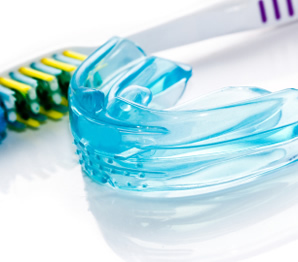 Custom mouth guards are an excellent way to protect your teeth while playing sports. Unlike uncomfortable, bulky traditional boil and bite guards, our customized mouth guards offer a comfortable fit and superior protection. The American Dental Association estimates that over 2 million teeth are knocked out from sports related trauma, so our mouth guards can prevent serious injury and save you a lot of pain. Oral and pharyngeal cancer strikes an estimated 39,000 Americans each year. An estimated 8,000 people die of these cancers annually. The disease occurs twice as often in men as in women. Although the difference between races in oral and pharyngeal cancer is negligible, the 5-year survival rate doubles for white men over African American men (the difference in survival rates between women is not significant). An estimated 1 in 95 adults will be diagnosed with oral or pharyngeal cancer in their lifetime. Oral cancer has traditionally been associated with tobacco usage, and it’s true that the majority of oral cancer victims smoke or use chewing tobacco, consume alcohol and are over 40. But the group experiencing the highest growth rate of oral cancer incidence does not fit this traditional “at risk” profile. More and more, oral cancer is striking younger people who don’t use tobacco or abuse alcohol. In many cases, the cause appears to be one of two strains of the human papilloma virus (HPV-16 or HPV-18). Health care experts now recommend annual oral cancer screenings for all adults aged 18 and older. If you smoke or use chewing tobacco, screenings are recommended every six months. During your oral cancer screening, we will examine your lips, inside of mouth, gums, inside of cheeks, the sides and underside of your tongue, and the roof and floor of your mouth. Other signs of oral cancer include numbness, painor tenderness, or a change in the way your teeth fittogether when you bite down. Be sure to tell us during your exam about any problems you have when chewing, swallowing,speaking or moving your tongue or jaw. Any abnormalities will be closely followed and possibly referred to an oral surgeon for biopsy/2nd opinion.